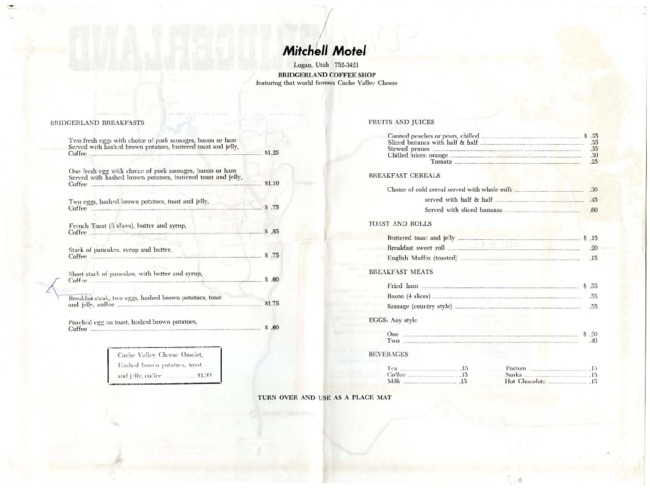 Mitchell Motel breakfast menu, 1969. Includes Bridgerland breakfasts, fruits and juices, breakfast cereals, toast and rolls, breakfast meats, eggs, and beverages. Back side is to be used as a placemat and provides general tourist information about Bridgerland. Includes second menu with handwritten notes for republication and additional tourist information about Logan. 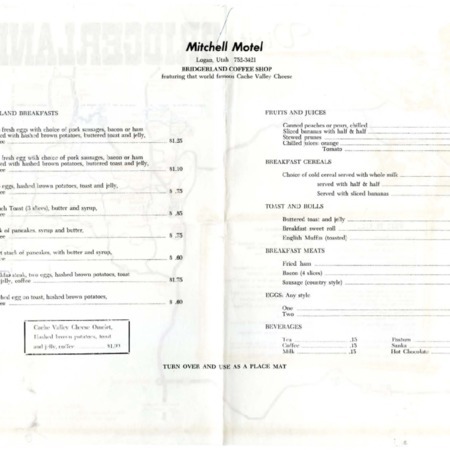 “Mitchell Motel menu, 1969,” Highway 89, accessed April 22, 2019, http://highway89.org/items/show/10262.